Describing Cleveland Browns quarterback Brandon Weeden's desperation pass that was just out of the reach of Josh Gordon with seconds remaining in the Browns 32-28 loss to the Jacksonville Jaguars, Browns' broadcaster Doug Dieken observed, "it was almost nearly on the money." Unwittingly Dieken succinctly captured the game, the season and the franchise. Two steps removed from greatness it is and remains almost, almost good. 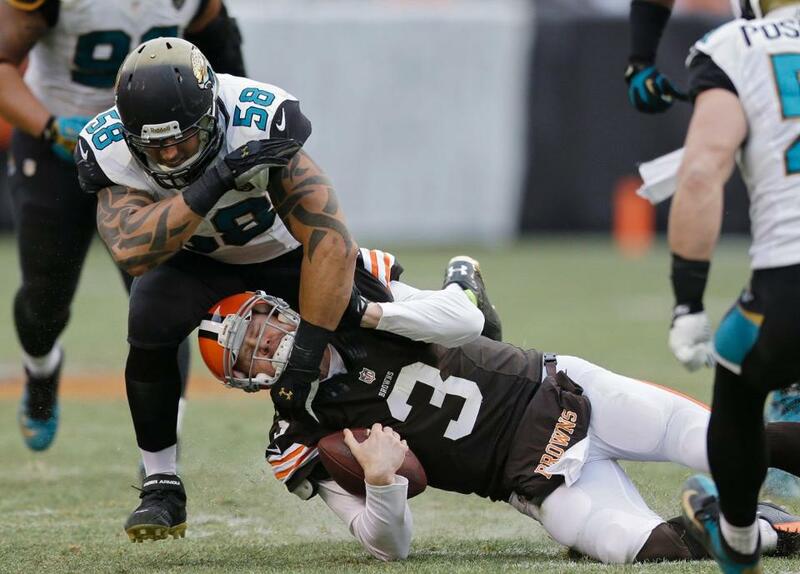 That the Browns lost to the Jaguars Sunday was not particularly unusual. December losses in Cleveland are like December snowflakes. There are always plenty of them. If anything was unusual, it was the manner in which the Browns went down, not so much by the feeble hand of an offense whose quarterback still hasn't won a start but by the feeble play of a defense that has kept the team mostly competitive all season, except in the season's most important games. Defensive coordinator Ray Horton seemed to have a lot of chatter and carefully segmented statistics to bolster his case last week about how great of a job he's apparently done coaching the defense. And it's mostly true if you ignore the statistics that Horton didn't bother to discuss, the defense's repeated failures inside the opponent's red zone all season. Teams that get their score touchdowns and have done all season. When Chad Henne, as much a journeyman quarterback as any in the league, who struggled all second half to get his offense a yard, moved swiftly and quickly through the defense at the end of the game, the touchdown that followed their entry into the red zone seemed inevitable. That it came against cornerback Joe Haden seemed appropriate as well. The other thing that was unusual, in the sense that it's never happened before in the NFL, was the second consecutive 200+ yard receiving game by Gordon. I'm not sure if it's more incredible that it's never happened before or that Gordon accomplished it off the arm of Brandon Weeden. In 10 years, if that record is still standing, the second part of the trivia question, "and who was the quarterback who threw to him" will be harder to remember than the names of every Real Housewife. Anyway, kudos once again to Gordon. If last week's record setting performance required the obvious caveat that most of his 249 yards were compiled during garbage time of a game that had long since been lost, Sunday's performance required no such embarrassment. Gordon is quickly placing himself among the elite receivers in the league with the kind of show he put on Sunday, highlighted of course by the 95 yard touchdown reception, about 85 yards of which were all Gordon that put him in the record books for the second straight week. Weeden for once wasn't terrible in the way the fans are used to, meaning from bell to gun. He had legitimate NFL quarterback moments, throwing some pretty nifty passes, actually, to both Gordon and tight end Jordan Cameron. It's those moments that tend to confound coaches who would just rather write off another failed quarterback experiment but can't fully when he does things like that. But with Weeden it's never two steps forward one step back. It's always the opposite and so it was Sunday. After staking the team to a 14-7 lead that almost everyone in brown and orange seemed ready to take into halftime, Weeden turned into Lucy Ricardo in the chocolate factory, overwhelmed and not sure what to do next while living up to the frustration that safety TJ Ward expressed a week ago about turnovers. First, Weeden tossed an interception that led to the Jaguars tying the game as running back Maurice Jones-Drew threw 8 yards to Marcedes Lewis. Weeden's throw, considerably less accurate than Jones-Drew's, looked exactly like every other Weeden interception—an off target throw that makes you remember exactly why you forget the good things he can do from time to time. With the ball back and time, Weeden then threw another interception. It led to a 44 yard Josh Scobee field goal that gave the Jags the lead. Weeden then fumbled away the ball on the next series as he was being sacked. That led to still another Scobee field goal and a Jaguars 20-14 lead at halftime. It was a stunning two minutes and 47 seconds that almost perfectly captured Weeden's short and likely to remain short career in Cleveland. He was diagnosed with a concussion after the game but that's not the reason he won't start. It is worth a second pause on those final few minutes of the first half. They played out as if Weeden was trying to give the Jaguars all of their Hanukkah gifts in one night. That the Browns only surrendered 13 points in that span was a tribute to the defense that ultimately failed them in the end. Truthfully the game could have and maybe should have been over at that point. But so it is when two bad teams collide. They don't necessarily play compelling football but it can be interesting. The Browns could have been eastbound and down with Weeden looking as out of place on a football field as a scoop of ice cream does in a bowl of lobster bisque. Instead the team came out and looked almost inspired in the second half. I say almost because, let's face it; the Jaguars had only won two games before the day started. No team should need inspiration to beat them. The Browns opened the second half as they had the first, taking the ball to the end zone courtesy of a Weeden 4 yard touchdown pass to Greg Little. It gave them a 21-20 lead and may be the first time in a decade that the Browns opened each half of a game with a touchdown. After that both teams more or less settled into their mediocre selves, running plays in theory while gaining yards begrudgingly and inducing slumber in those still watching. It all changed though midway through the fourth quarter, as if both teams awoke from their own mid game nap. With the Browns backed up on their own 14 yard line, Weeden dropped back in the shotgun. With the ball yet to be snapped the scene looked particularly set for the typical Weeden off target late pass over the middle that would find nothing but the arms of an opposing player. A steady dose of Weeden over nearly two seasons now, or just from the first half, take your pick, inspires such thoughts. But Weeden didn't get a chance to touch the ball, except with his foot. Center Alex Mack uncharacteristically sailed the ball over Weeden's head and into the Browns' end zone. Weeden charged after it as if it was a contract extension and did the only right thing he could do. He kicked it out of the back of the end zone for a safety. It put the Jaguars back in the lead, 22-21. It also woke them up. After returning the free kick 31 yards, Henne led the Jaguars to another Scobee field goal and a 25-21 lead. That meant that the Browns would need a late touchdown and in this city at this time of year those are as rare as a close in parking space at the mall. That's when things got really interesting. On the ensuing kick off the Browns were penalized and had to start the drive at their own 5 yard line. That wasn't unusual. It's what came next . Weeden threw short to Gordon who spun off the receiver and went essentially untouched for a 95 yard touchdown and a 28-25 lead. It was the most remarkable play of the season, easily. It also sent the crowd into a frenzy; the kind usually reserved for a team that just scored an important touchdown while fighting for the final playoff spot in a season that actually meant something. Desperate fans will celebrate anything. It also didn't last. The defense then and almost inexplicably let Henne lead a really moribund Jaguars offense straight down the field. It culminated in a 20-yard Henne to touchdown pass to Cleveland native Cecil Shorts with 40 seconds remaining. It was another defensive breakdown, of which there have been many, for the defense in the red zone. The only thing more deflating was the sadly comical series that followed. Weeden was done. Overwhelmed by what he had done and not done and flashing back to his handiwork near the end of the first half, he settled for a series of short passes and another (his second of the game, fourth of the season, and proof once again he learns nothing from his mistakes) ill advised flip of the ball to running back Chris Ogbonnaya. It was as if Weeden was hoping to capture the same lightning in a bottle he had earlier with Gordon only this time with Davone Bess. Lightning is hard enough to capture once. The game clock ticked harmlessly away as the Browns left another December crowd cold and miserable and pondering once again why this team, this franchise has failed them. Weeden had an impressive day statistically once you ignore the interceptions and fumbles. He threw for 370 yards and 3 touchdowns. Gordon, of course, was the main benefactor and it is a tribute to his skills as a route runner that despite being frozen in Weeden's sights all day long he still had 10 receptions for 261 yards and two touchdowns. Absolutely no one should complain about the context in which those yards and receptions were made, even accounting for the dismal competition. Gordon has emerged as one of the few, perhaps only, legitimate play makers in the Browns 2.0 era. As for the rest of the team, sympathy goes to head coach Rob Chudzinski. Visually, the team looks better coached in so many ways than in seasons past. The results simply aren't there and that, as usual, stems from a lack of talent. Consider just Joe Haden. Often he plays like one of the better cornerbacks in the league. His interception Sunday was a triumph of superior technique and the manner in which he caught the ball, in stride as if thrown to him, makes one wonder whether he should be converted to receiver. Yet it was Haden who disappeared again late in the game. Henne's touchdown pass to Shorts happened because Haden blew his assignment, being faked by a relatively benign double move. 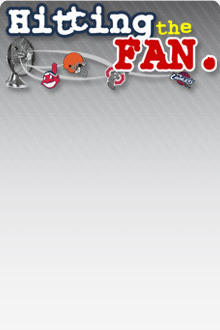 It's Haden's wont as he rarely has a complete game. Players like Haden dot the roster. T.J. Ward can be an intimidating safety with a mouth he can't control but he likewise disappears for long stretches at a time. Gordon has been great the last few weeks and maybe he's turned the corner after being hot and cold earlier in the season. Meanwhile Greg Little is, if anything, regressing. He caught a touchdown pass but he also dropped a pass in traffic and was mostly a non factor in the game, again. He's a big receiver who plays smaller than Bess, another forgotten acquisition. Then, of course, there is Weeden. He didn't lose the game, at least not by himself, but he also couldn't win it against a team that was 2-9 after starting 0-8. As a fantasy player, and prayers go to anyone who has the misfortune to have Weeden on his roster, Weeden turned in a decent performance. But the distance between fantasy and reality is that yardage and touchdown passes are nice. Turnovers cost games. Weeden's flaws coupled with the defensive failure at the end of the game cost the Browns the game. The Browns had a chance to win a game against a team that should be able to handily beat. And for most of the day they were nearly on the money. It's just that when the money was set to be counted it was the Browns who once again walked away with less than they had when they started the game.